Bad Ben 6: The Way In (2019) is directed by, written by, and stars Nigel Bach. This film marks the sixth installment of the popular Bad Ben franchise. Nigel Bach is back, reprising his role as the crass Tom Riley. In this installment, Tom Riley is hired by the new owners of the titular house on Steelmanville Road to expunge evil entities that have once again taken hold. Needing the money, Tom Riley reluctantly accepts the assignment, using his prior experiences in the house to get the job done. If you’re new to the Bad Ben series, you can read our Bad Ben Primer section below to catch up. Bad Ben 6: The Way In (2019) opens with Tom Riley standing at the doorway of the place he once called home on Steelmanville Road. With great reluctance, Tom Riley enters the familiar house, this time as a visitor. He is tasked with cleansing the residence of the evil entities that reside within. 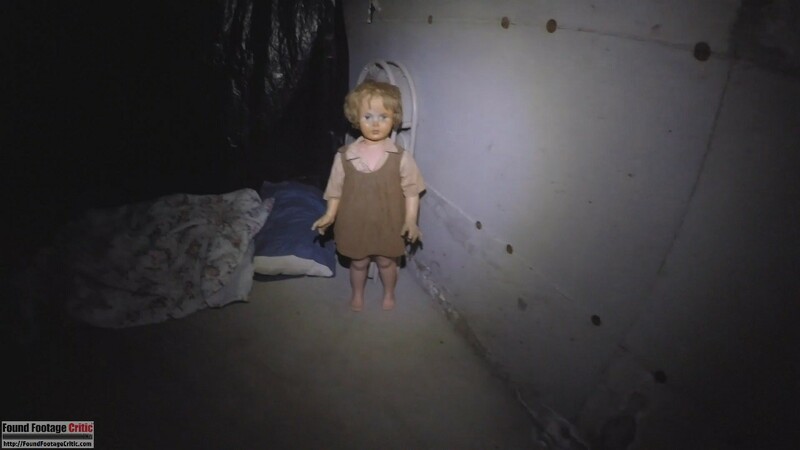 Tom Riley explores the various rooms and hallways of his prior home but doesn’t immediately see anything out of the ordinary, that is until he heads down into the infamous basement. As Tom Riley walks down the basement stairs he hears loud growls from below. Suddenly, a door to one of the basement rooms is inexplicably ripped off its hinges, wood flying everywhere. In one of the many comedic moments in the film, a terrified Tom Riley hastily runs back up the stairs, makes a beeline path to the front door, and runs out to the street. Ultimately, Tom Riley’s recent financial misfortune overrides his common sense and he goes back into the house to finish the job he started. From here, and in true Bad Ben fashion, strange things start to happen. Will Tom Riley rid the Steelmanville Road house of the demonic forces within? Better yet, will Tom Riley survive the ordeal? Watch the footage to find out! The Bad Ben franchise is the brainchild of writer/director Nigel Bach. The film started as a $300 one-time project in 2016 that inexplicably took off and evolved into a popular film franchise that continues to produce films to this day. In the first film, Bad Ben (2016), Tom Riley purchased a house at a sheriff’s sale, only to discover the presence of a demonic entity. Next came Steelmanville Road: A Bad Ben Prequel (2017), presenting a story of the history of Tom Riley’s home years before he made the ill-fated purchase. 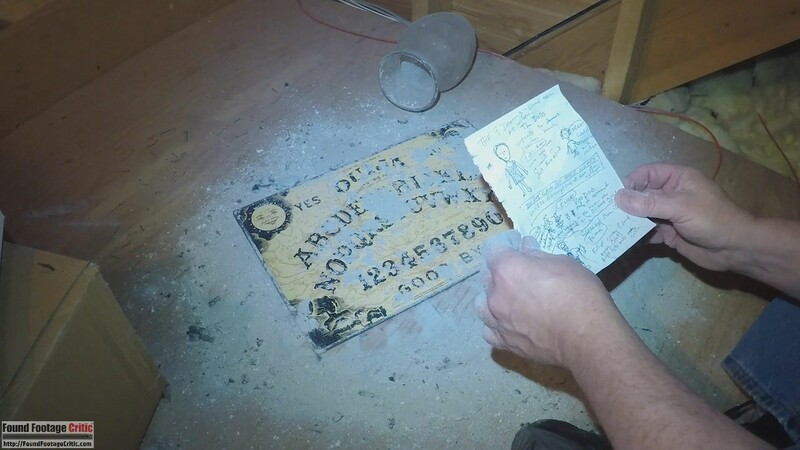 Badder Ben (2017), follows a team of paranormal investigators who film a documentary about the Steelmanville Road house and the fate of Tom Riley. In Bad Ben 4: The Mandela Effect (2017), Tom Riley experiences the horrors of Steelmanville Road over and over in parallel universes. In the fifth installment, Bad Ben 5: Crescent Moon (2018), the new owners of the house on Steelmanville Road start seeing strange things akin to Tom Riley’s experiences two years earlier. 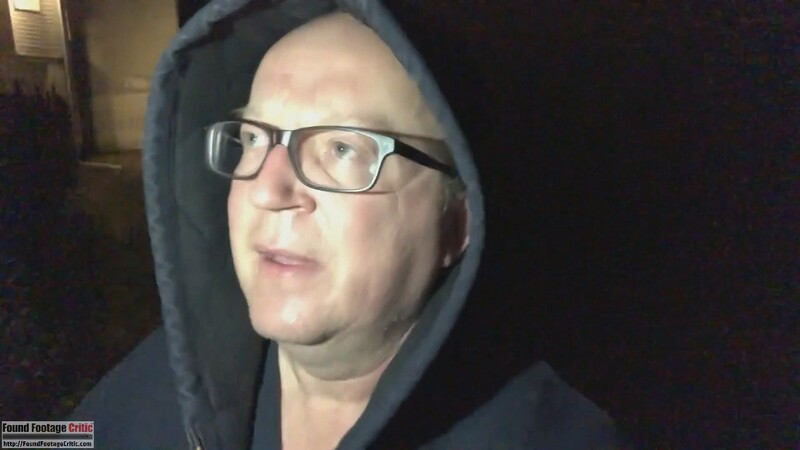 Similar to the earlier films in the Bad Ben franchise, director Nigel Bach nails the found footage approach in Bad Ben 6: The Way In (2019). 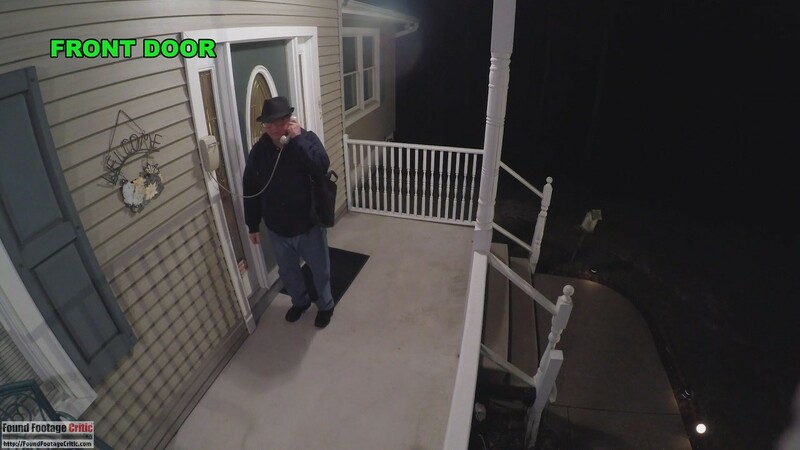 The film is presented as footage captured from a handheld iPhone and a small army of fixed surveillance cameras located throughout the house and outside property. 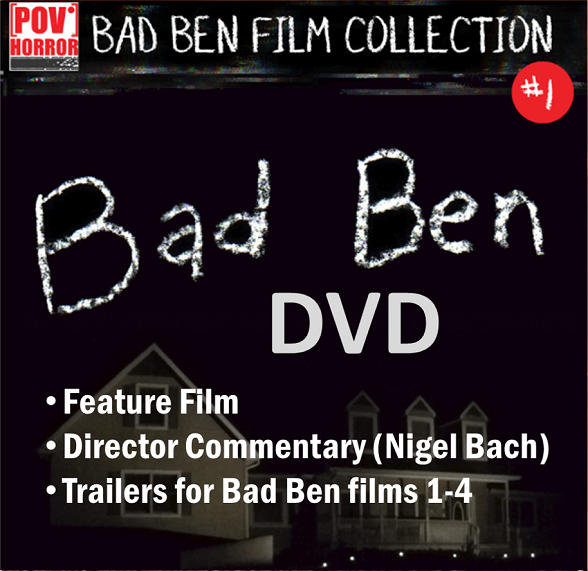 To his credit, director Nigel Bach applies a consistent cinematic approach across all the films in the Bad Ben franchise. 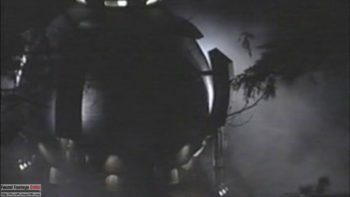 The hallmark aesthetic of the series is comprised of a 1990s era colorful puffy video camera fonts, and Tromaesque CGI and plot elements that sometimes border on absurdity. These elements create the charm of the Bad Ben franchise, and for all intents and purposes, define what it means to be a Bad Ben film. 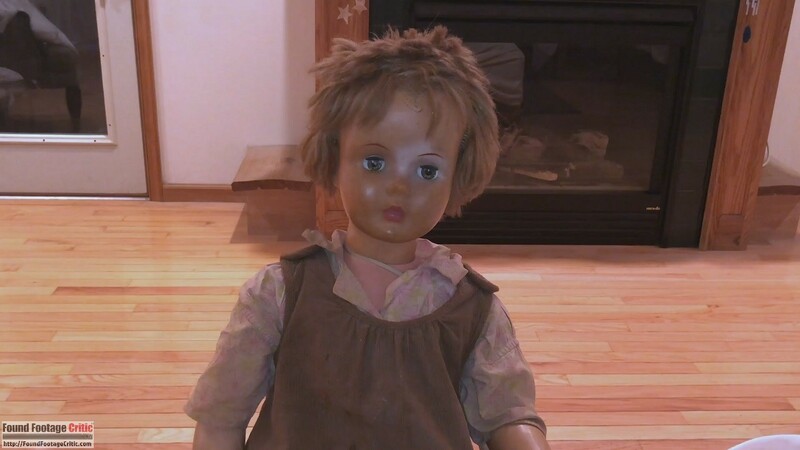 Quite honestly, if the CGI and other visual and audio effects were professionally done, as one would find in a modern day horror film with a sizable budget, the Bad Ben franchise would suffer as a result. Director Nigel Bach embraces (and often showcases) the low budget nature his films. This transparency gives the Bad Ben franchise an honesty that further strengthens its appeal. Other independent filmmakers can learn from director Nigel Bach—sometimes it’s better to embrace the true nature of a film rather than trying to be something that it is not—fans are smart and will see through the facade. The filming reason examines why the footage presented in a film was recorded in the first place—and can make or break the perceived reality of a found footage film. 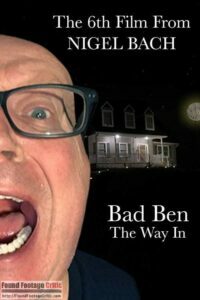 Bad Ben 6: The Way In (2019) contains plausible filming reasons spanning the entire feature. 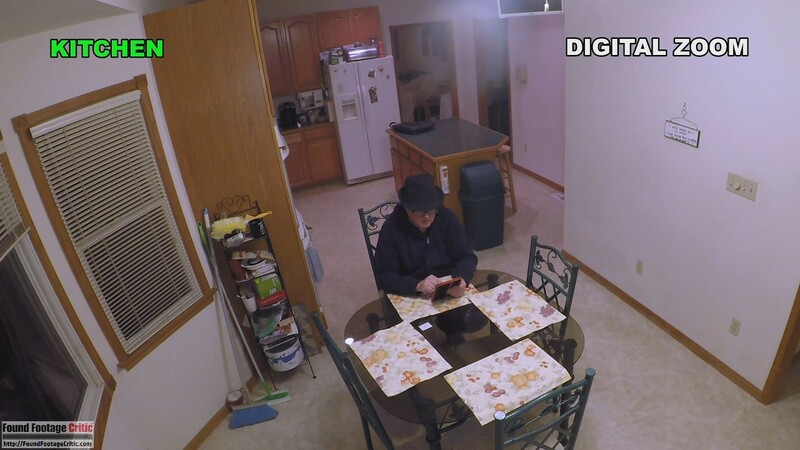 The house on Steelmanville Road is equipped with a battery of surveillance cameras that automatically record 24×7. These cameras provide director Nigel Bach with a multitude of camera angles that normally would not be accessible in a found footage film. 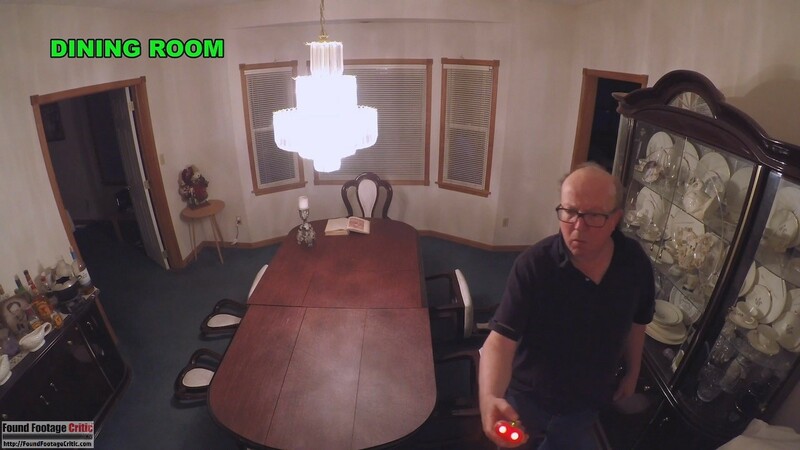 Further, director Nigel Bach employs a simulated “digital zoom” which enables him to capture close-ups in rooms where the surveillance cameras are positioned too far away. Character Tom Riley also films with an iPhone, which provides first-person perspective shots as needed, breaking the monotony of cycling through fixed surveillance camera footage. Director Nigel Bach also includes scenes where Tom Riley mounts his iPhone on a tripod—providing strategic vantage points not available from the surveillance cameras. In all, Nigel Bach does a commendable job at establishing good justification for the existence of the footage that makes up the film. 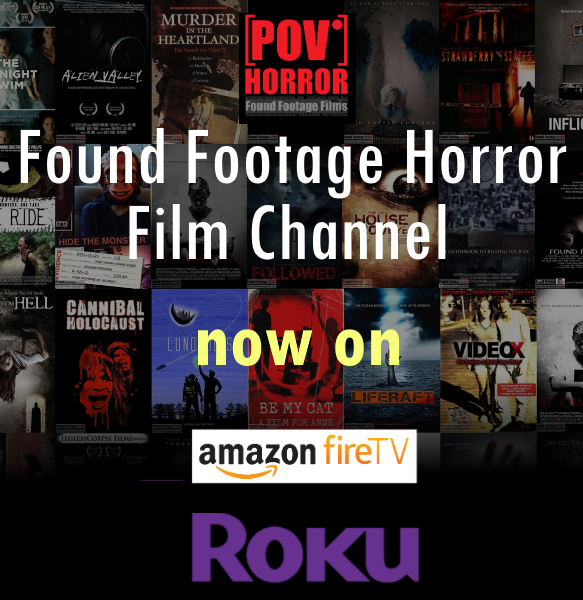 The found footage purity is a measure of how well a found footage film approximates actual found footage, taking into account the cinematography, filming reason, special effects, acting, and story. 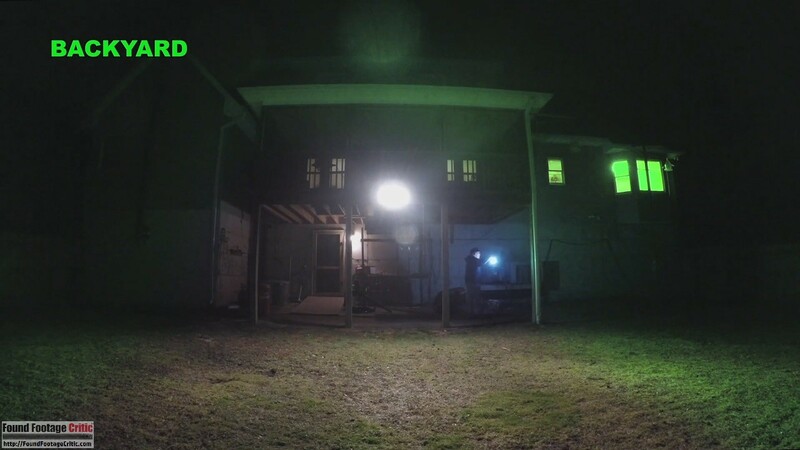 In all, Bad Ben 6: The Way In (2019) does a good job tying together all of the cinematic and narrative elements to form a well constructed found footage film. 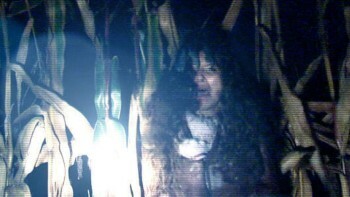 Found footage films that are comedic in nature are measured by a slightly different standard as they are often intentionally presented as faux from the getgo. Many comedic found footage films, like They’re Watching (2016),What We Do In the Shadows (2014), TrollHunter (2010), and of course, Bad Ben 6: The Way In (2019), break the fourth wall in their presentation, letting viewers in on the joke that what they are watching cannot possibly be real. 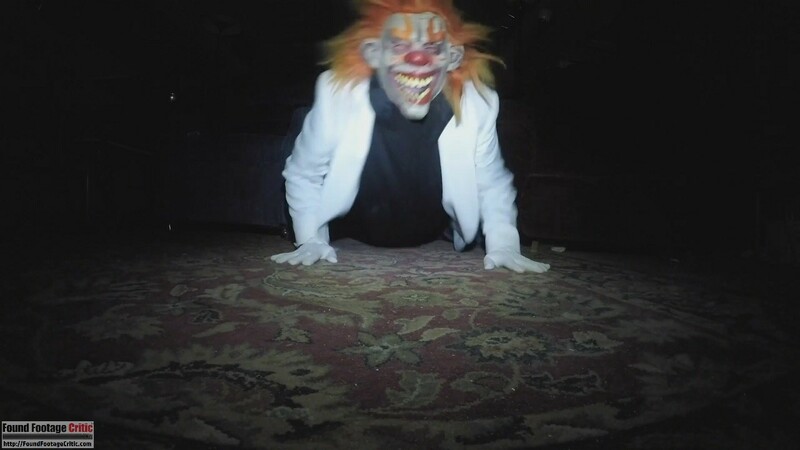 Although found footage purity is important to maintain some modicum of realism for viewers, this element of the film isn’t as important as in a serious dramatic presentation. 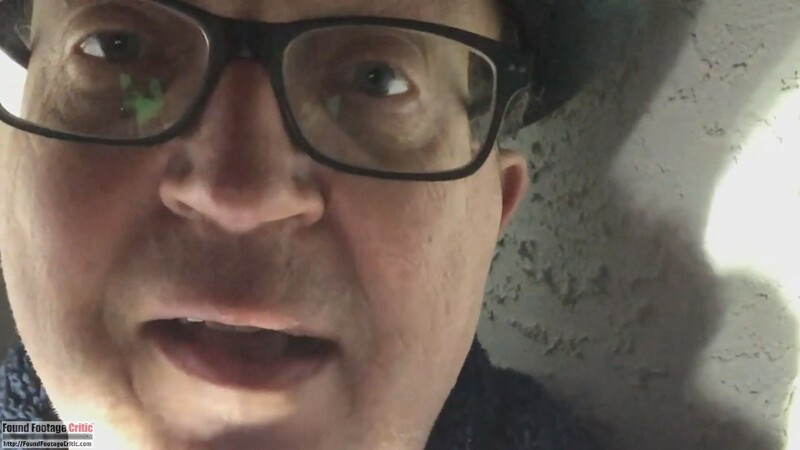 Bad Ben 6: The Way In (2019) is a one-man show. Of course, we’re talking about the charismatic Nigel Bach, portraying his on-screen character, Tom Riley. Nigel Bach was also the sole actor in Bad Ben (2016) and Bad Ben 4: The Mandela Effect (2017), and played Tom Riley in smaller roles in Bad Ben 2: Steelmanville Road (2017), Badder Ben (2017), and Bad Ben 5: The Crescent Moon Clown (2018). Much of what viewers see of Tom Riley is Nigel Bach being himself, reacting to the various situations called for in the plot of each film. That said, Nigel Bach is the reason people watch Bad Ben—without Nigel Bach, there is no Bad Ben series, at least not a series fans will flock to see. Sometime after the Bad Ben (2016) review was published, and I don’t recall the circumstances, I was speaking with Nigel on the phone, and he gave me hell about the green night vision comments in the Bad Ben (2016) review—all in good fun of course, as Nigel is a great guy. Nigel went on to explain that his surveillance cameras were real and they were actually equipped with green night vision. To give our readers some idea of what it’s like to talk to Nigel in person, you needn’t look further than his on-screen character, Tom Riley. Much of the real Nigel bleeds into his portrayal of Tom. For the three years that followed, whenever Nigel and I speak or chat on social media, he always finds a way to torment me about the night vision debacle. And in true Tom Riley fashion, it’s usually a sarcastic jab. In closing, it took six Bad Ben films to get to this place, but I’m finally coming clean with the green night vision. At its core, Bad Ben 6: The Way In (2019) has a well orchestrated and interesting demon-based story that neatly ties together the first five films in the franchise. To avoid spoilers, we won’t go any further into the main arc, which slowly reveals itself throughout the final two-thirds of the film. That said, Bad Ben 6: The Way In (2019) is not without some minor challenges. The opening text card sequence (88-seconds) is far too long. This sequence could have been shortened and replaced with Tom Riley explaining much of the film’s setup. This is a minor quibble. Once the film finds its legs (30 minutes in), it doesn’t let up and keeps getting better. The tiebacks to the prior films in the Bad Ben series and great story bring the film home. The Bad Ben franchise is an unworldly phenomenon that is constantly reinventing itself and beating the odds through inexplicable fan popularity and growing commercial success. At the heart of this creation is director, writer, and actor, Nigel Bach. Found footage fans often ask me to explain the appeal of the Bad Ben franchise. My answer is always the same—Nigel Bach. 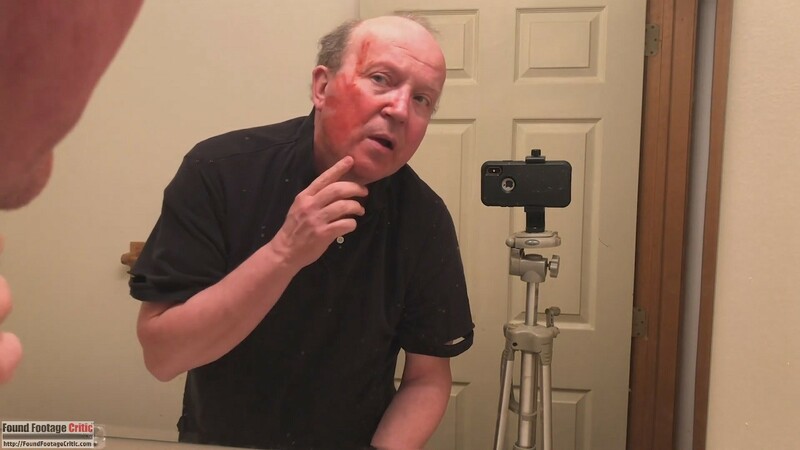 For reasons I can’t intelligently articulate, tens of thousands of fans (myself included) are fully absorbed and entertained watching this balding fifty-something walk around his house with a camera. Speaking for myself (and presumably the majority of the fanbase), I wait with eager anticipation to hear what Nigel Bach will say next and how he will react to the adversity he’s facing in each scene. Nigel Bach’s dry wit and sarcasm, coupled with the (presumably intentional) B-movie atmosphere in each film is a recipe for popular and financial success that has proven itself six times over. I firmly believe that I speak for all Bad Ben fans when I say that we hope there’s a lot more Bad Ben in the future. 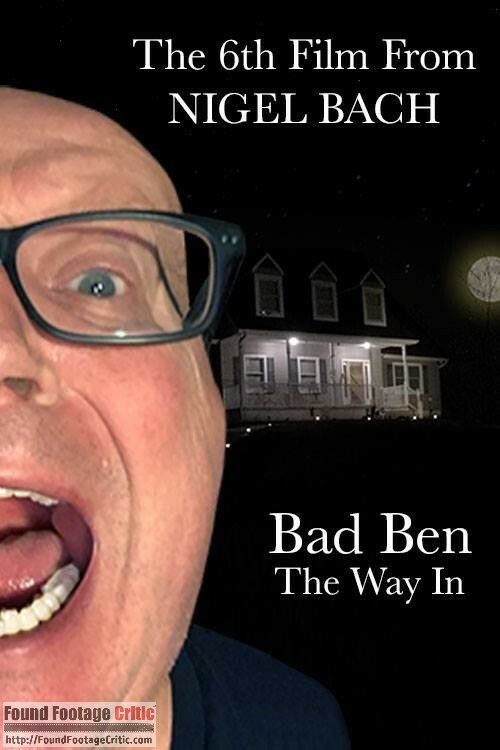 BAD BEN 6: THE WAY IN (2019) is the sixth installment in the BAD BEN franchise. The film does a great job tying together the story elements from the first five films in the series and presents Tom Riley in all his comedic glory. This film is a "must see" for BAD BEN fans.